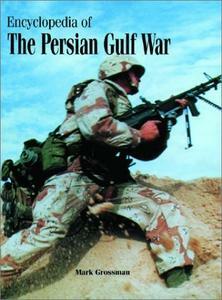 The Gulf War is chronicled and explained in a comprehensive encyclopedia that describes the historical background and reasons for the war, the key players, major weapons systems and tactics, and the results of the conflict. A comprehensive alphabetical reference on the Gulf War, including people, places, events, treaties, legislation, resolutions, and weapons, as well as the historical background and events leading up to the war. It includes some 100 maps and illustrations, a chronology of events, some 80 key documents, bibliographic references accompanying the entries.